To anyone who was following the Xtender Power Assist Wheel journey, more like a saga, you know all this. If not and/or to refresh memories - details (lots of them) can be found when you click here this search link on our blog or search Xtender Wheels and Sunrise Medical there too. 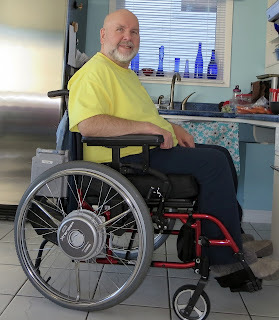 Since week one or so, even though my husband loved these wheels in principle, because of the freedom he now had to move with great ease, up hills and to ease the stress on his torn rotor cuffs, (a common health issue for chronic wheelchair users). It was so nice to see him happy and free! I use a full power chair so I could totally relate to that sense of freedom! (I can picture Mel Gibson yelling FREEDOM! just before he dies!) okay, maybe not the best illustration, but you get the idea! Well, instead of repeating all the details, please just check out all the Xtender blog articles here at WWO, most have corresponding videos. All along, I just wanted to video and visually record the sounds and details, hoping to help Sunrise/Quickie/Yamaha (Yamaha still makes the motors as for as we know) to try to figure out what was wrong. It has been outstandingly clear, to us and some others, that the issue is poor spoke layout/installation/design/quality, but they do not seem to want to acknowledge it to us anyway, and correct the installation/design so it won't keep happening. Yes, they replaced the spokes, the wheels....read the links for details. But it is still happening. 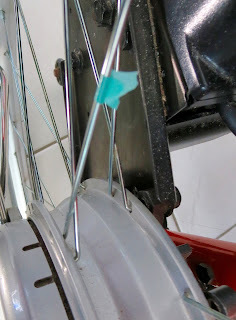 We have asked the opinion of spoke experts and it is clear to all of us that where the spokes intersect, the outside row of spokes are almost all, ever so slightly,bent ,because they are pushing so hard against the underneath row of spokes. 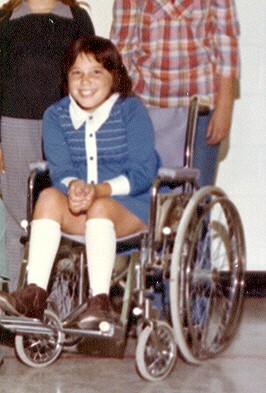 My first manual chair- never had broken spokes. As a wheelchair user, that had spokes for about under 15 years, back when I was younger, never did I have problems Breaking spokes. Yes, I had to tighten them every now and then when I did my wheelchair maintenance, but that was it. Craig himself in over 30 years of wheelchair use, also never had any problem with spokes breaking. Only once when there was an actual recall on a quickie manual chair model. So we know that spokes for daily, regular use, spokes should not just be Breaking. Not at this rate, that is for sure. It is so frustrating because it seems obvious what is wrong with their design. Even more frustrating when you're told that no one else Is having the problems that you are ,with the Quickie Xtender power assist wheels. And yet we have heard that others have, including a comment on one of our videos about it. We know he is not alone. Of course we know normal wear and tear can happen. But this chair didn't even get a chance to undergo normal wear and tear before the clicking and breaking happened and STILL is! Needless to say, we shared all that was going on from day one. Past experience told me this would be wise. Of course if I had received contact from the manufacturer much sooner, depending on how they handled it, I wouldn't have felt the need to make sure all the negative parts weren't documented. There wouldn't have been a need to. 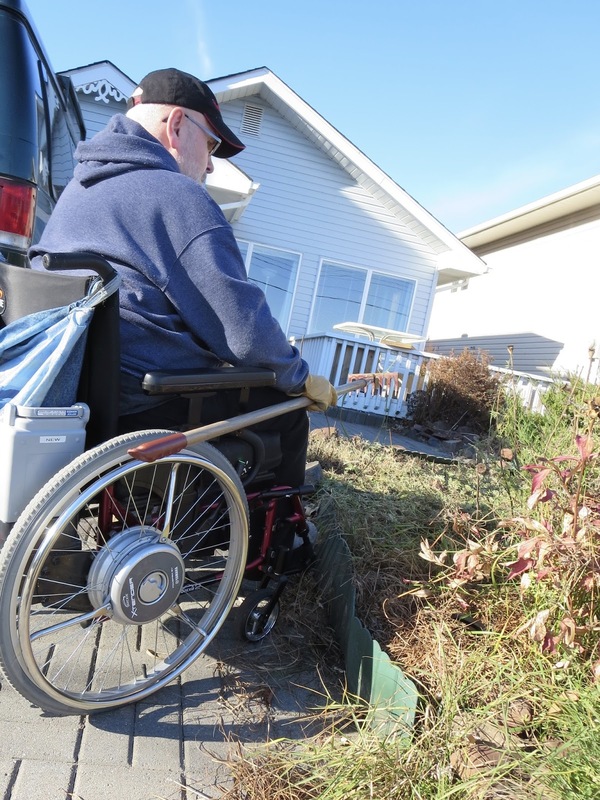 It was disconcerting because my husband paid a decent amount of money for a very useful mobility aid and we wanted them to work and to last. He was recommending them from day one. Even when the early troubles began. I told him he should wait, but he believed all would be well and taken care of. He is way more optimistic than me. He was just soooo happy because of how easy it made his life. He deals with chronic pain daily. But because we didn't receive any responses at that time, from Sunrise and the other contact places I tried, lack of trust increased. So I decided to make an attempt reaching Sunrise through the Quickie Twitter contact page. (again, all of this has been documented if you want to see/watch) It worked! It was great to actually have someone answer questions and trying to help us. They did the best they could by asking the right contacts they had. But clearly, they were limited in what they could do, at times they had to break not so good news to us. Such as, if my husband weighed 250 pounds or more, then the warranty would not count at all. Thankfully, he did not, nor does he weigh that amount. But, the fact that no one even asked Craig or told him prior to his purchase, it was quite a frustration to know that if he happened to weigh that limit, he would have no hope to fix his brand new expensive wheels. Would never have bought them. Thankfully, he officially proved he was under that number, but nevertheless, just frustrating at hearing surprises like this. Not the Twitter person's fault. However, after all that, since Sunrise did replace Craig's wheels each time (during the next period- until last spring) the clicking/spoke issue arose (always within a very short time the sound would commence), right up until the third replacement pair - and sadly, even the third pair began clicking with spokes breaking. Didn't take long. Needless to say, the second I hear clicking from his wheel, my heart and anxiety rises....it has caused a lot of stress and unless something changes, will continue to do so. asked me to refrain from blogging/vlogging about what was happening. Saying, they wanted a chance to take care of my husband before I did anymore blogging/vlogging. They seemed rather bothered by the public sharing of our experience. Because of the nature of this whole blog, I record experiences and want to share our life for a purpose. She seemed to have no regard for the fact that, as I had recorded publicly, that I did try to reach them first, but never heard back, not until the Quickie Twitter contact responded. All very frustrating. Of course, we didn't want to have to share the negative parts of our experience, we had no choice. We felt morally obligated, to be honest, not just so others interested in this product would know, but to get what we paid for, trying to help them have as much information as the manufacturer might need to help. I tried to refrain as long as I could, but the clicking/spoke issue continued. After the conversation with her, for a while, we did shared that Sunrise was offering good customer service. Here we are today, one year later (almost). the lady that had called us, saying we were glad to see the improvements. We thought they had figured it out based on his ongoing wheel issues and our postings of recorded noises, that all would be cured. 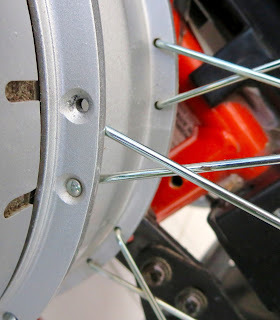 (click here for that article and the comparisons) The photos show how much better quality these spokes were installed, they even looked stronger, they just seemed all round improved. Click that link to see. We were really hoping almost assuming, that since even the 3rd pair of replacement wheels had the exact same issues, they would give him these demo wheels. It would make sense after all he had gone through, and they looked fixed. But sadly, nope. They quickly sent back to him wheel set number two, saying they changed out the motors, nothing else. Motors were obviously, not the problem, not sure why. They never said if there even was a motor issue. It was all spoke issues! Well, based on a letter Craig just received with a pack of replacement spokes sent to the dealer. No personal direct contact since that period last year. And after seeing this morning, comments and thoughts from some who have inquired about Xtender wheels...I thought it best to write this update. (hence the reason for long and short spokes) because one is bent. We knew that!! But like I said before, the dealer said while trying to replace the first few broken spokes last year (on I believe wheel set number 3) he said the spokes were breaking as they tried to replace them! So, we assumed they were, as suspected, faulty spokes, so the dealer would return them and Sunrise would replace them. I hope this finds you well, active and enjoying your Quickie products. The warranty on spokes for the wheels for the quickie Xtender is coverage for one year against manufacturing defects. Last April we sent a set of 36 spokes (18 long 18 short) to your dealer for you. We have now received another request for more spokes since those are all gone. Xtenders. The dealer said he sent them all back! Why don't they know that? There were about maybe five or six spokes replaced somehow, prior to recently receiving this bunch, - even if did send 36 a second time - after the dudd spokes were returned, there still remains half or more of that other spoke set that Craig never saw but do not exist) Why didn't they count the spokes that were breaking as they tried to install them? All too confusing. We feel bad for the dealer in all this. They just want it to all be right too. Why don't they try to do something about the ongoing spoke issue that could improve the quality and installation design, so the problem would decrease and give that improved set to my husband?? Back to the letter: "no other user of the quickie extender is experiencing this level of breakage with their spokes so we are at a loss to understand why this continues to happen. As a show of support, we are sending one last set of 36 spokes to the dealer to be used as needed on your chair. Once the these are gone, additional replacement spokes will need to be purchased." This letter actually stirred up anger in my heart. After everything that has happened since day one, they kind of are implying they are doing him a kindness. It is as if they do not know all that has happened and has not been addressed. It was bad enough receiving the phone call from Sunrise's rep last year , expressing her displeasure at my blogging about the topic asking me to stop. (not forever) In noway was I slandering anyone, just being objective, open and honest. But nothing changed with the spoke issue/design/construction....Argh! And he is not the only one who has had this hapen. Why three different sets in a row? All the same issues. Not just one pair. So sad for my husband to have to deal with this. 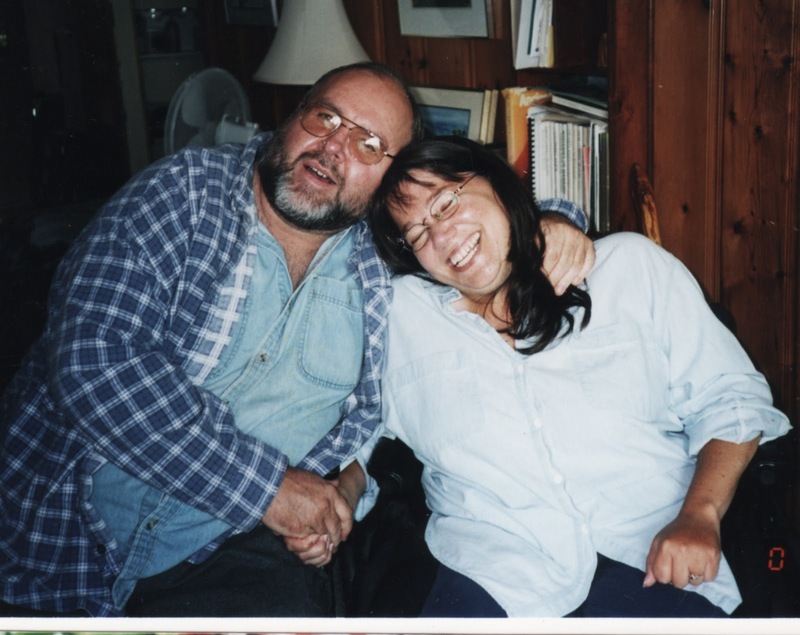 mention, he still loves and supports the Quickie 2 manual chair because he has had not issues with them at all. He is a Quickie devoted fan, if only the Sunrise people would help him with new and "fixed" Xtenders. But, oh well. He and I agree to disagree. So if you read and watch all the info we have, you can make your own conclusions. My husband is a dear man who deserves to enjoy his life with minimal need of wheelchair repair. But that is out of my hands. I am happy that inspite of all this, he is still a big Xtender fan. He is a bigger "man" than I am.